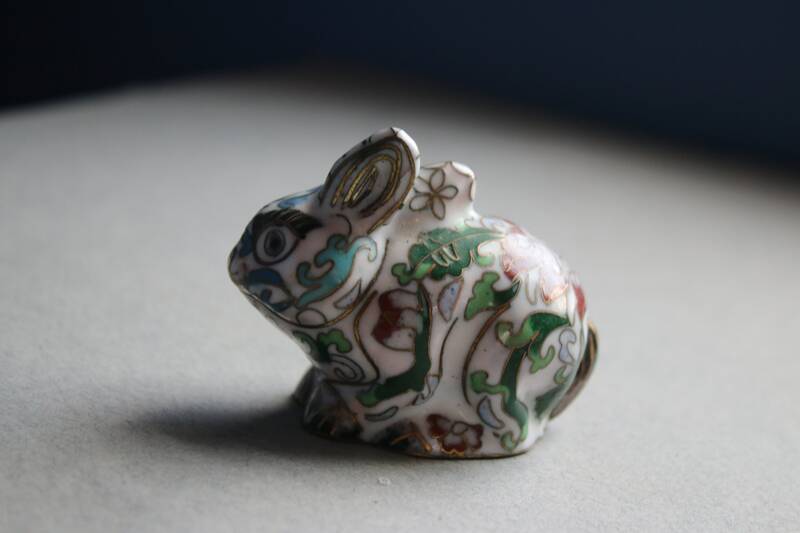 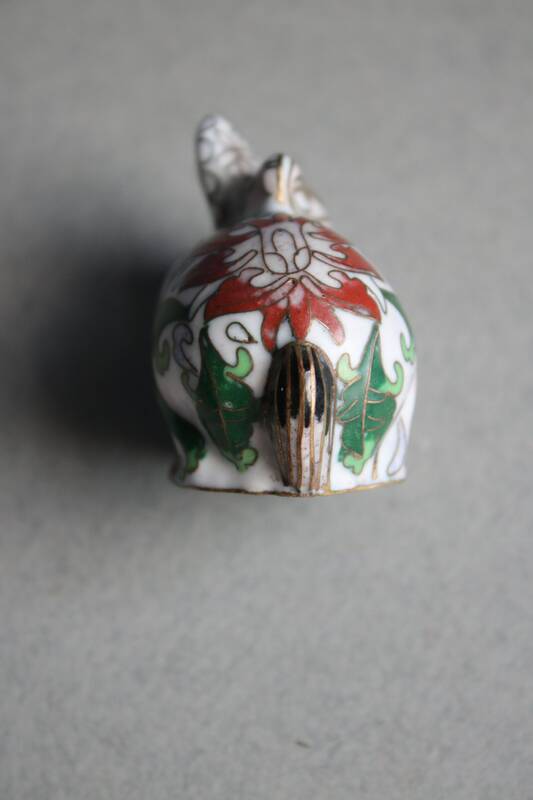 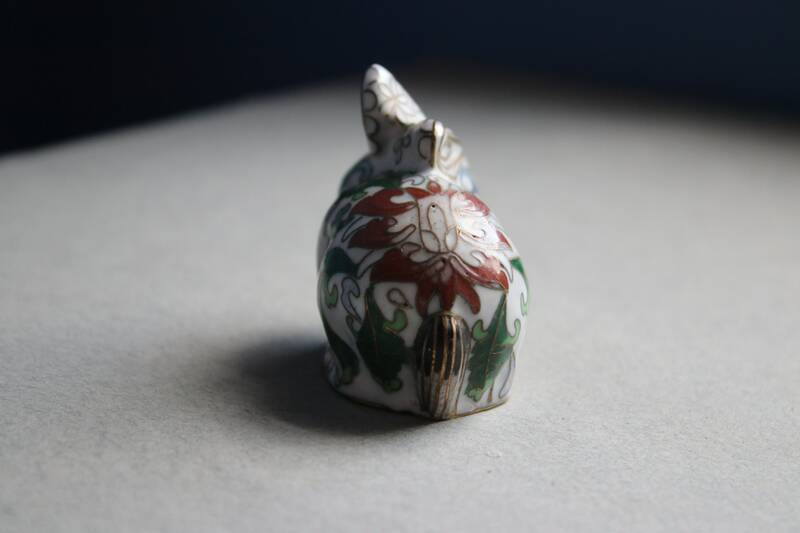 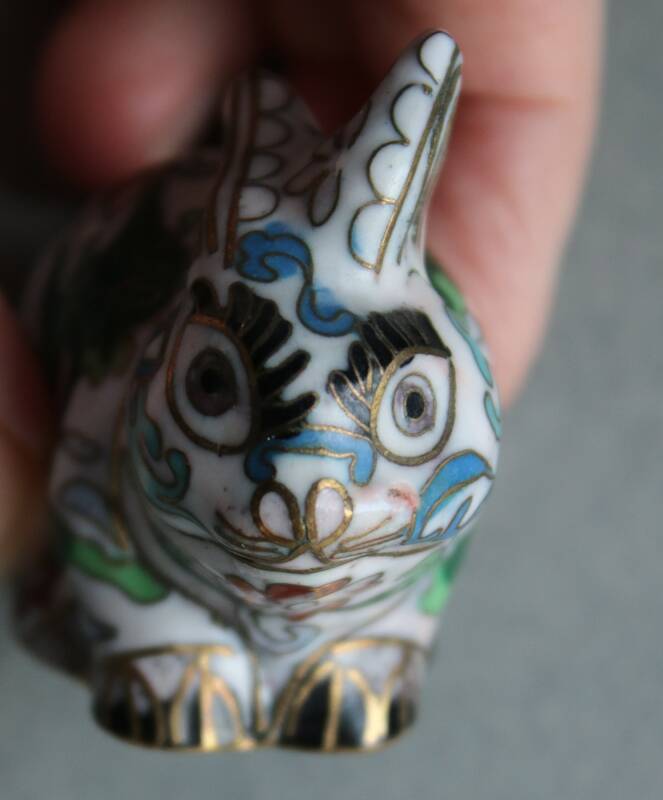 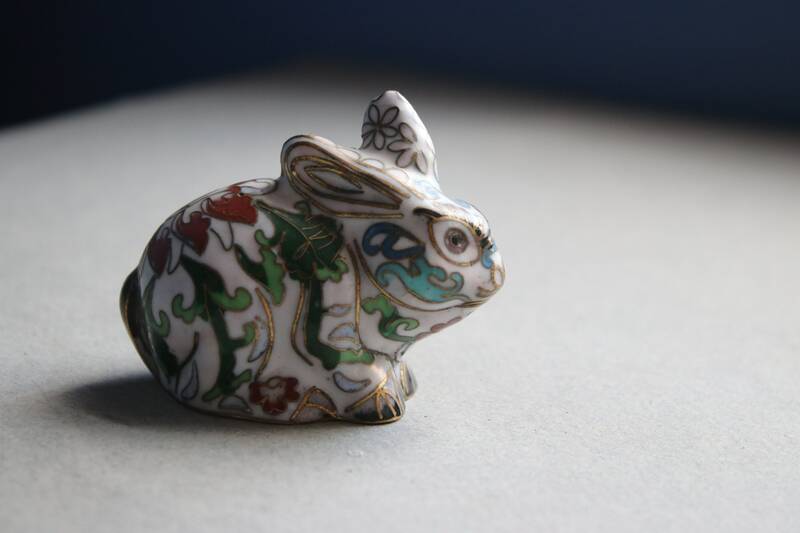 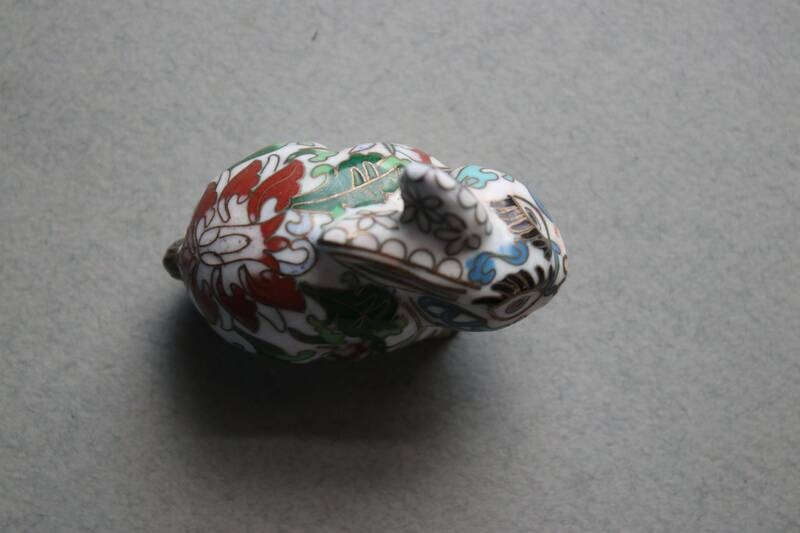 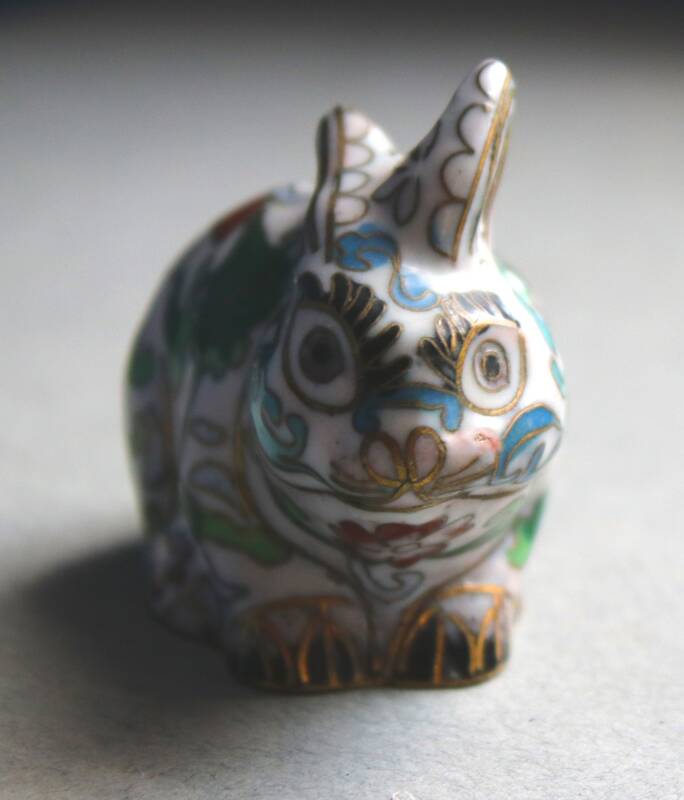 This cloisonné rabbit figurine has a turquoise-colored 1 1/2" x 1 1/4" base and is approximately 1 6/8" in height. 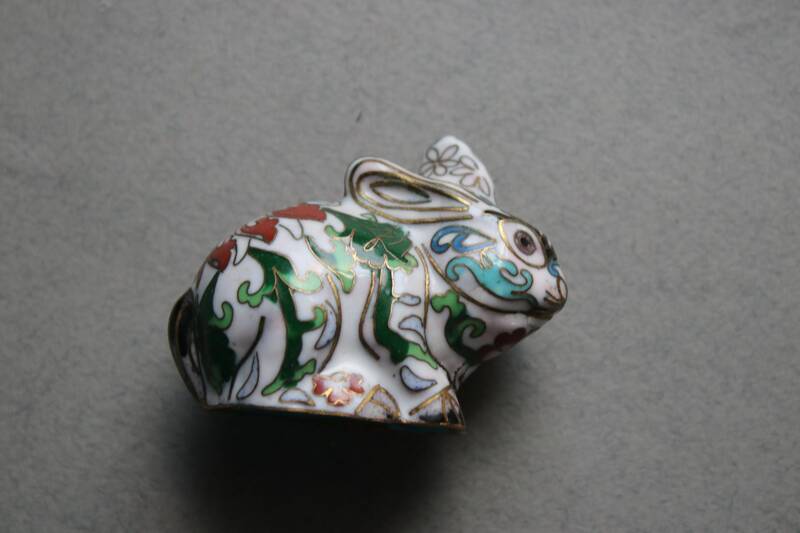 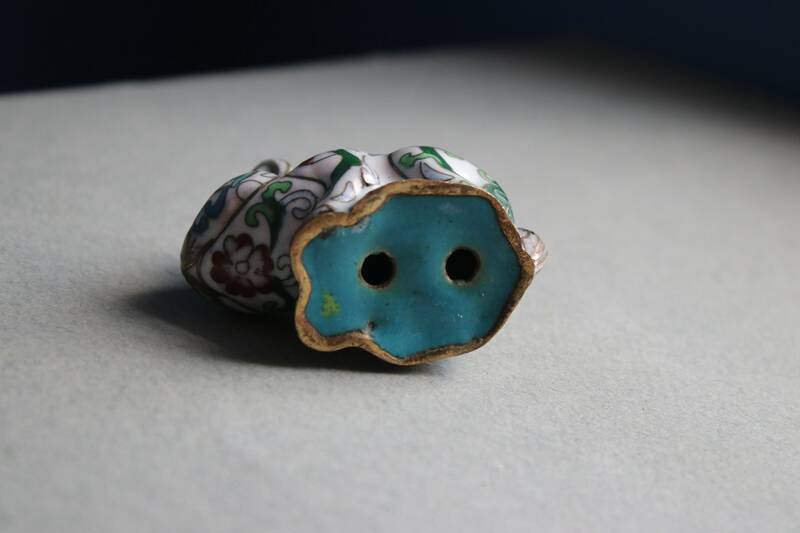 The cloisonné consists of gold-colored metal work delineating areas where colored enamel is applied. 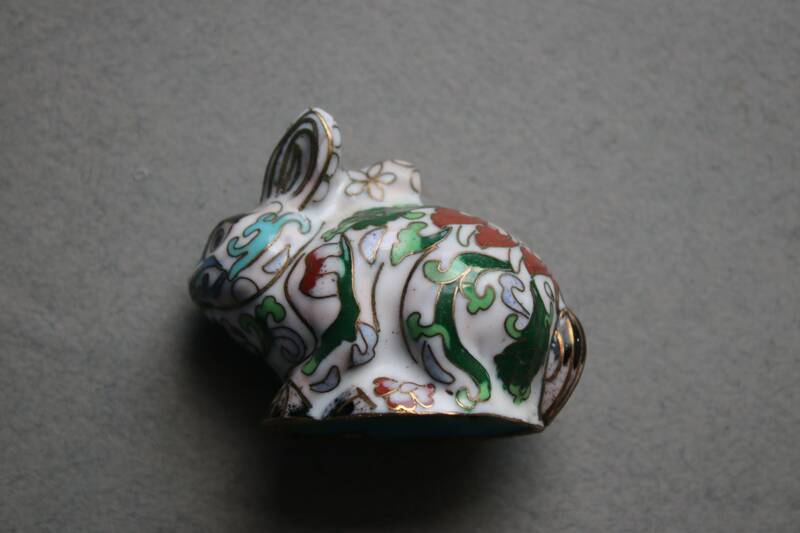 While I'm uncertain as to the age of the piece, some enamel loss may attest to the age of the piece rather than poor craftsmanship.